~ The Silent Siva remains still without any movement or motion. The science of language was born. This dance institution was established in the year 1948 by Sri.T.K.Narayan. Since then the Academy has trained hundreds of students from India and abroad. Most of the students have attained professional level. The aim of the school is to preserve and practice this traditional art in its authentic form.The Academy does not believe in compromising on quality to simplify teaching and learning. Perfection has been its endeavour. 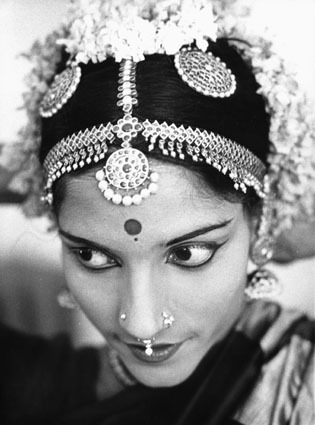 Indian classical dances are a synthesis of literature, sculpture, music and religion. 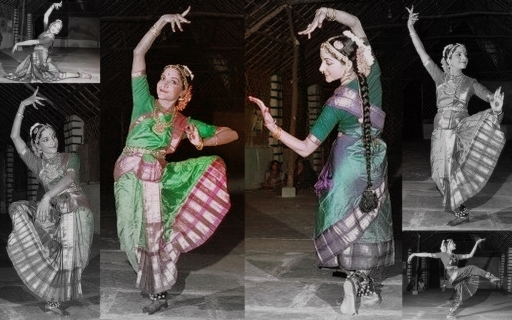 Bharata Natyam is perhaps the most ancient form of classical dance of South India. Legends say that Bharata Natyam was created by God Brahma, the creator of the Universe. Its antiquity can be traced to the Vedas, the oldest and sacred scripture of the Hindus. Bharata, the great sage, spread the art of Bharata Natyam and wrote the treatise Natya Shastra. This book, the oldest in the world on theatrical art, is believed to have been written two centuries before the birth of Christ. Nritya--a combination of body movement and dramatic expression. All images and text copyright Gayathri Keshavan and the Academy of Bharata Natyam. These images cannot be copied or used without permission.